Ram Navami is a Hindu festival, celebrating the birth of Lord Rama, son of King Dasharatha of Ayodhya, and 7th avtar of Lord Vishnu. The day is called Rama Navami as it falls on Navami. The birth of Rama on earth is to vanquish the roots of Adharma. Lord rama was born on earth to destroy the demon Ravana. 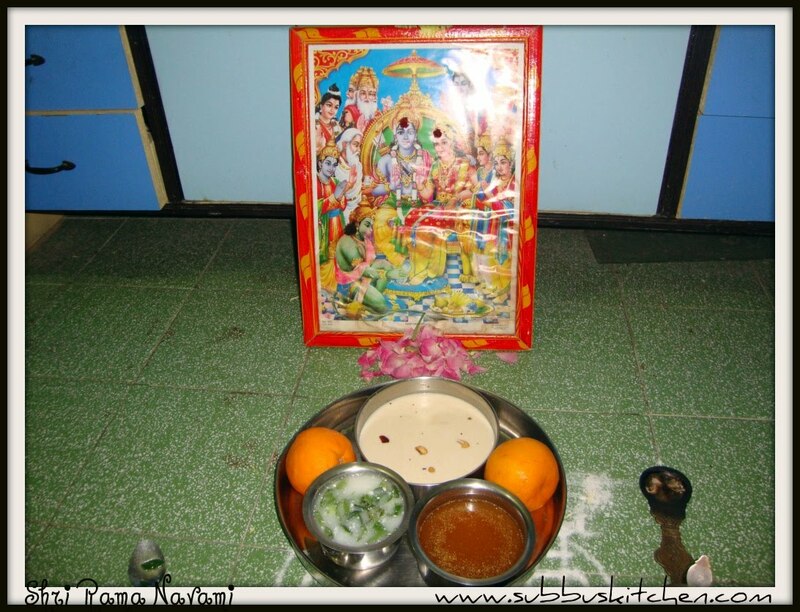 Story behind: Generally hindus will consider Ashtami and Navami day of each month as unaspicious and will not perform any good events on those days. So Ashtami and Navami went to Lord Vishnu and expressed their unhappiness. To make them happy and to make Dharma rule over Adharma Lord Vishu born as Rama on a Navami Day. The same way Lord vishnu born as Krishna on an Ashtami day which is what we celebrate as Krishashtami(Krishna Jayanthi). Ram Navami in 2019 is on 13th Apri 2019. It is considered auspicious to perform elaborate pujas and chant the name of Rama. It is good for the devotees if they hear Ramayana story on that day and also if they chant Ramar Patabishegam episode of Ramayana on that day. Also devotees should prepare the following recipes as neivedhyam and get the blessings of Lord Rama. thanks. My mom will also include gosumalli in naivedyam! i actually had forgotten about rathaspathami, please tell how and what to do?